Will Stuartson is having the worst month of his life. His wife is leaving him, he can’t see his daughter anymore, and he has been kicked out of the family home. He sees no better opportunity to take a trip into the Scottish wilderness with his trusty dog, Bouncer. And a bottle or two of whisky. 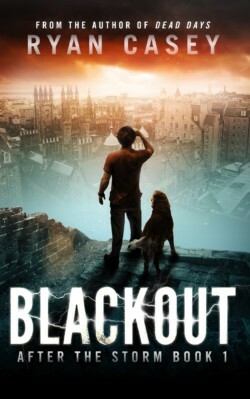 But Will’s retreat is interrupted when a devastating series of EMP strikes hit the country. All electrical and battery power, from cars to watches, is down. Will is cut off from society and forced into a world where survivalism is required to stay alive, and where the sudden lack of communication is driving the country to destruction. Now, forced into a dangerous, primal world where the elements and other people all pose a threat, Will must make the long trek back down to Preston in order to find and save his wife and daughter.